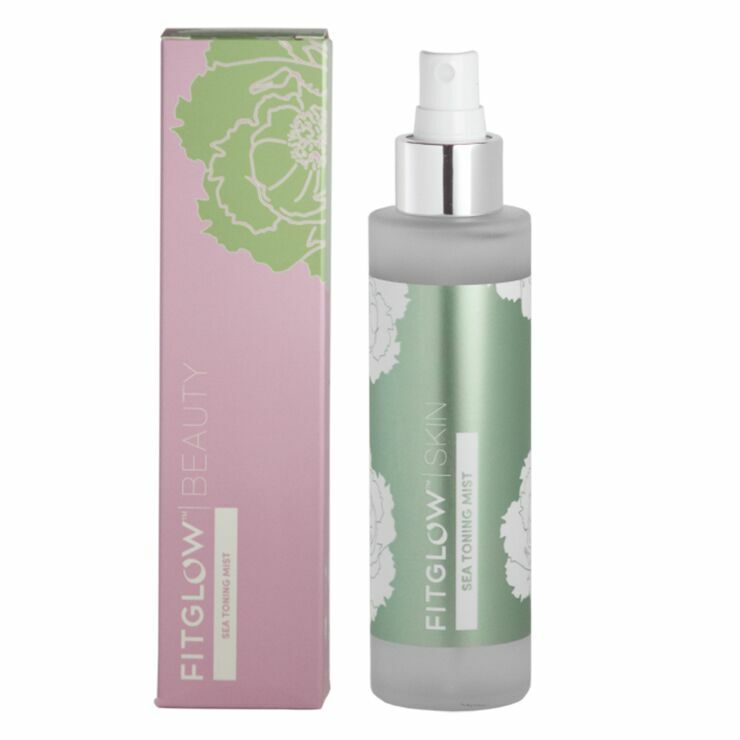 A must-have multitasker for any beauty kit, Fitglow Sea Toning Mist is designed with aloe vera and botanical hyaluronic acid for a feel of lightweight moisture that lasts. Seaweed is a star player in this beauty, used to make the complexion feel detoxified and soothed, while improving the appearance of elasticity and tone. Rose and willowbark tone down signs of inflammation and congestion. Ideal for daily use before applying serum or moisturizer. Also makes the perfect natural beauty face toner, setting spray, or post workout face mist. 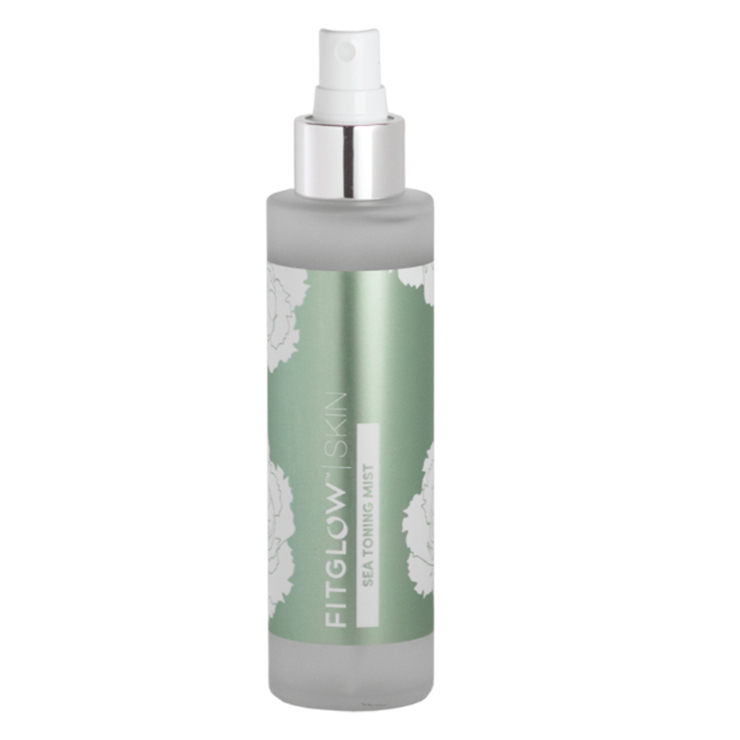 Mist onto clean skin before applying serum or moisturizer to make skin feel hydrated and calm. Also makes a great setting spray for makeup. Simply mist over face to keep your makeup looking fresh and refined. Use after working out or when skin is upset for a cooling sensation. Aloe Barbadensis (Aloe) Leaf Juice, Ascophyllum Nodosum (Kelp) Extract*, Aphanizomenon Flos Aquae ( Blue Green Algae) Extract*, Hyaluronic Acid, Salix Nigra (Black Willowbark) Extract, Rosa Damascene (Rose) Matricaria Chamomilla (Camomile), Sodium Chloride (Dead Sea Salt), Citric Acid.